Ptolemeos Philadelphos the foreign Greek per-aa ruling Misr, or Mizraim as the Hebrews would have it, paid his hired troops well to keep them twice as loyal to himself as they might be naturally. Raised on meat and not the yet unknown potato, bigger and more powerful than native soldiers, accustomed to brutal battle conditions, hardened to the tasks that campaigning imposed on men, the Irish Celts were much in demand and lived up to their reputation of fearless, loyal, well-trained, nearly invincible warriors. But even a greedy, aggressive, perpetually warring king like Ptolemeos II ran out of wars now and then, and then the time stretched for the men in the fortresses when there was no battle forthcoming. Restless, the men were given leave by the captains to go to the local women and inns for drinking themselves into stupors, and--for those weary of such vapid amusements--there remained only cruises on the Great River. Surprisingly, the soldiers had seen little of the land that they, for pay, fought to defend with their lives and limbs. Most of them were studying Greek, which was the language of the Greek dynasty ruling the land, but the language of the subject people, the natives, remained incomprehensible, since there was no reason to learn the argot of cringing slaves, field serfs, and sandal-licks. Besides, the god of learning happened to be an ibis, a bird he shot by the dozens just for sport! How could such a god of feathers, beak, and skinny legs do him and his men any good? What language and learning they had brought from Limerick was good enough for them, he reasoned. Kassidoros, who like many mercenary captains in Ptolemeos’s employ had Hellenized his name, foresaw the difficulty he and his band of platoon of twenty men would have if he went out touring the country without an interpreter. Fortunately, the band employed a native man to run errands and perform little services between the company and the native shopkeepers and also certain women who kept houses of pretty girls for foreign troops. Kassidoros had roared with laughter when he first learned the man’s name, for it came out as “Take-Lot” when they worked out the lettering with a stick in the sand of the fortress’s chariot ground. Takelot’s speech was very broken, mixing pidgin-Greek and his native tongue with some words he had just picked up from listening to the soldiers--for the man’s ear was like a sun-dried sponge. Yet with gestures, he could be understood, and Kassidoros nodded, then turned to other matters while the gopher scurried about looking for ways to make himself useful to the men. The captain, of course, had no idea the hireling had, in the native tongue, just called him worse than the offspring of a donkey--something closer to being the issue of a she-hyena coupling with a he-camel, though some slaves present heard and ducked their heads in silent laughter. They wouldn’t have dared laugh openly. Kassidoros was bigger than most foreigners. He was like the sacred ox, and his hands could easily snap a man’s neck when he squeezed it. Once they had seen him strike the side of a painted pylon, and the whole wall shuddered, and sheets of dust and paint came loose and cascaded down, destroying records that had been there for many hundreds of years telling of times before Misr when "White Land Kings" ruled the earth from the center of the "True Sea." One day the jaded captain threw a punch at his chief aide for no reason, knocking him clean out, then sent to bring in Takelot from the outer gate, who came scraping and bowing as usual, eager for opportunities to perform services for pay. The man winced, then thought hard. “A lovely pleasure cruise! That’s it, sire! Buto, Sais, Basaris, Alexandria--these modern cities are nothing yet to the unspeakable glories I can show you up the Great River!” He rolled his eyes, describing the beauties they would see from a tall-sailed falcon-ship, and the wonders that the “Dawn Kings,” the double kingdom’s most ancient rulers, had erected, that would utterly amaze their eyes. Kassidoros pondered the man’s offer, then, for nothing better to do, nodded slowly with his massive head of plaited hair. Grumbling, wearing the full war-time regalia of a Celtic chief (which is say very little clothing along with a lot of weaponry), the utterly bored and dangerous Kassidoros followed with his men. Takelot led them to the ship he had hired for them--which looked quite silly like all the others, flat-bottomed as a barge, the falcon god’s crowned head at the bow, evil eye on each side of the hull, and snubbed, “sacred” duck-billed prow to cleave the waves of the river and keep off the snapping jaws of crocodiles and river cows, with another “sacred” animal’s posterior and tail to supposedly “protect” their rear from the same evils. Now the captain was no man of mere words--he usually added a degree of physical force to give his words substance. A fist the size of a palm trunk thrust a fraction short of flattening his face, Takelot backed away diplomatically, and the voyage, at his sign, began, the native oarsmen pushing the craft away from the wharf once its mooring lines were released. The current flowed north to the Great Sea, the prevailing winds blew south. They were heading south, upriver toward the ceremonial capital of Thebes, so the oars were useless. Unfurling the forty-foot-tall lateen sail, the craft began to move slowly against the river’s current, and the captain got no refreshing breeze as he had hoped since the wind came from behind. The better to see the gold-capped Houses of Eternity, ben-bens, palaces, quays, richly flowered avenues and towering temples, the ship kept close by the banks, where oftentimes the natives, which were mostly farmers out plowing with their cows, stood gaping wide-eyed at strange, nearly naked beings with fair skin and golden-glinting hair sailing on their sacred river. Hot and steamy, the insects swarming onto him, Kassidoros soon grew impatient looking at farmers staring back at him. He hadn’t seen much of anything after the passage of several miles of riverbank except a lot of looky-yous with yoked cattle dragging plows. “Of course, by your pleasure!” the sandal-lick agreed though his heart sank, it felt, right down through the deck. After frantic instructions from Takelot, the ship turned, and the sail fell and was quickly pulled down, while the oarsmen went back to their places. The current pushing them along, the breeze full in his face, Kassidoros felt much better, and pleased with his decision. Now, with all the delta spread before him, with a thousand canals connecting with the river, he would decide where to go, and they might spend a week or more exploring the labyrinth of water and land mixed together like uncountable islands. Passing close to villages, they paused at the first of them and natives boated out to them and sold them anything they had on hand--fresh dates, wine, sweet breads with honey and stewed fruit pudding inside, and such. The captain relaxed, beginning to enjoy the cruise. They spent the first night tied to a reedy sandbar, a native musician strumming a harp-like instrument, and plenty of wine and sweets and good fresh-caught fish cooked over braziers. The second day of the outing they left the ship to explore old temples that had been abandoned, but they found them hazardous, full of crocodiles, with serpents running up and down the columns. Kassidoros took his sword and chipped at a forgotten Per-aa’s image on one of the columns. “Who was he--this old dead king of yours?” he asked Takelot idly. Takelot’s eyes roved over the columns, seeking the best and most interesting account. His face grew worried. He stopped at inscriptions carved along with portraits of the pharaoh and his queen. Kassidoros, who had never heard such an account or of such a man before, returned to the ship to think. Finally, he decided what to do. He knew his gopher could write as well as read in the old native script. The gopher’s eyes widened with alarm. “Leave me alone here, Great Master? The sacred beasts and the sacred cobras--they protect the temple and won’t allow me to remain alive!” Kassidoros laughed. “Well, then I will leave you a sword, and you can use it to fend them off. Now do as I say!” What choice did the gopher have? He prostrated himself, thanking his master for sending him to a certain death by cobra bite or a more painful death in the jaws of a crocodile. A week later the ship returned, finding the spot with great difficulty, for it was much overgrown in that time, and the temple was hidden in the jungle-like growth of reeds, palms, and vines. Kassidoros was tired of the cruise, the cramped, smelly quarters on board the ship, and was eager to stretch his legs a bit on land. He strode up and down the wharf as the gopher dogged his steps. “Well! What have you written! Read it to me now as I take a little walk!” Takelot pulled a scroll out of his rags and began jabbering. “Slow down! Slow down!” But all the excitement and the effects of his ordeal--marooned in a dangerous spot for a week--were too much for the poor gopher. He fainted. Kassidoros grunted with disgust, ordered the man brought on board, and given wine and something to eat to restore his strength. 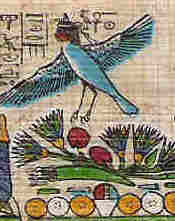 Later, Takelot returned to his master’s presence, and began the reading of his scroll. Swallowing his own feelings, Takelot began as ordered. 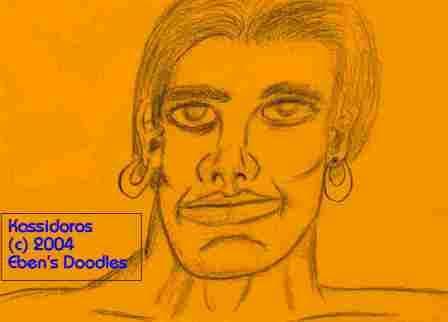 When he was finished, Kassidoros remained silent, pondering the account. As for the rest of the account, how the man remained faithful, serving the jailer with excellence just as he had served Potiphar his slave master, and how he had been called out of prison by the per-aa who had heard of Joseph’s ability to interpret dreams, and how Joseph had masterfully explained the king’s troubling dreams when no wise man in the land could do it, and how the grateful per-aa had appointed Joseph to Grand Taty, and how the new Grand Taty had gathered the land’s bounty to save it for the coming times of dearth--indeed, Kassidoros had never heard the like before, and he had much to ponder. His men, too, heard the account, and they sat and discussed it for long hours. Later, as the ship neared the fortress, Kassidoros turned to Takelot. Kassidoros’s oxlike roar near blew the gopher off the deck. The gopher turned waxen white in his cheeks, fully assured the commander would run him through with a sword on the spot. When a moment or two passed, and he still lived and breathed, he looked up again and found his master puzzling again over the account, his wrath forgotten (like so many of his rages, they came and passed with incredible swiftness). Takelot could even see the commander needed him for the answers he might be able to give, thus giving value to his life. Seeing this, he took heart, and color returned to his ashen face. Kassidoros returned to his work refreshed, and an exciting new war had broken out in Syria, and he was ordered to participate. It was high time! His muscles and sword arm were aching for action. 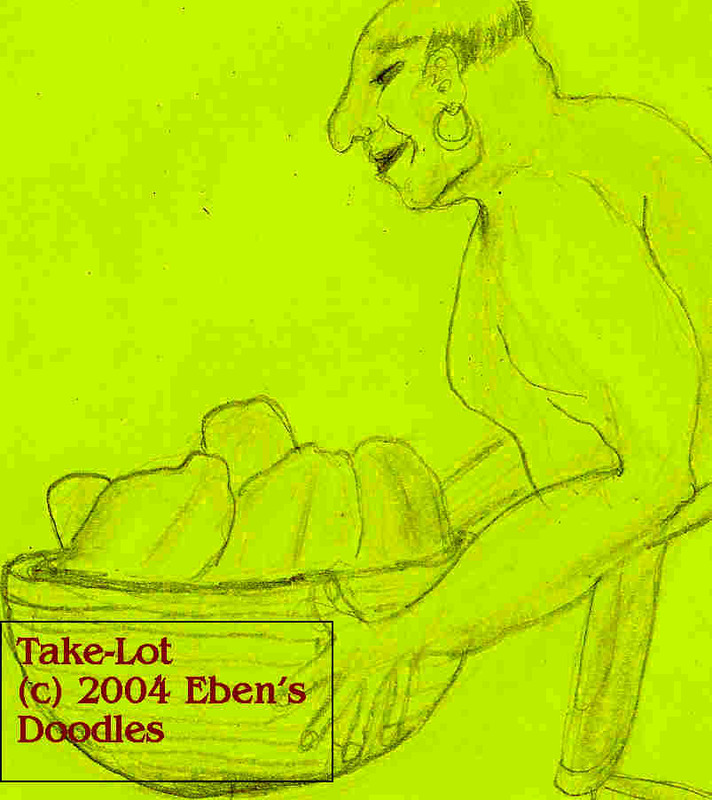 Not so keen on battle, liable to hang back with the baggage train, Takelot survived the campaign. The captain, who caught a stray arrow in the lung, did not. 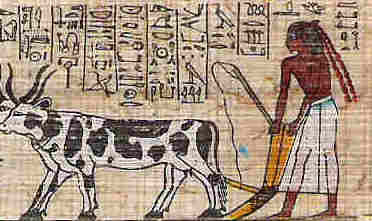 Takelot’s transcription of the temple writings was sold in the market of Sidon, and the victorious army of Ptolemy II returned home with wagons piled with booty. At least the well-paid temples proclaimed it as a victory with much booty. What the temples priests did not report on their stone columns and walls was the meeting of chief importance, held between the per-aa and certain emissaries of hitherto unknown race and nation. Exciting a tremendous stir at the court and in the general population, the envoys arrived in a flying ship that set down in an open space near the palace and the chief temples. Thinking at first that the envoys were gods, all honors were accorded them, and disembarking the divine ship the “gods” appeared pleased by their reception. They took liberally of the wine, pretty girls, and fine clothes and jewels heaped beside the door of their ship. The per-aa was then told the reason for the visit. The per-aa, attended only by his Chief Cupbearer, nodded assent. After all, what could he do against gods--for such they appeared! The per-aa was bewildered. What need did he have for such a thing? He had elephants and armies enough. He was well supplied with weapons. A burning stone-eye? It seemed a silly thing for a king to want added to his arsenal. The per-aa liked the sound of this treaty less and less as they went on talking about it. He was one king among many in the Earth. There were many wars for supremacy, and so far no one since Alexander had succeeded in seizing the world’s helm. With this burning stone, they claimed he would attain Alexander’s empire, but for what purpose? To supply the gods with what? Weren’t they already being given ample sacrifices? Wishing to know exactly how much the gods required of him under the treaty, the per-aa presseds the point as soon as he could. The visitors brought out a long document that itemized what the gods required. At the top of the list was “blood,” to be drawn and put in special wineskins so thin they could be seen through that they themselves would supply. The blood was to be kept cold until it was taken by the gods. Captives, too, were required. The per-aa signed for the Cupbearer to go and examine the document more closely than he could without risking his royal dignity. The Cupbearer returned after a lengthly viewing of the treaty, and whispered in the per-aa’s ear the advice that it seemed to be reasonable enough. He was convinced the burning stone-eye would be of practical use to the king's army. With it they would finally be able to subdue all the northern rivals who claimed to be Alexander’s successor, and he, the triumphant lord of the land, would be safe and secure forever to enjoy his royal possession of Alexander’s capital, Alexandria. 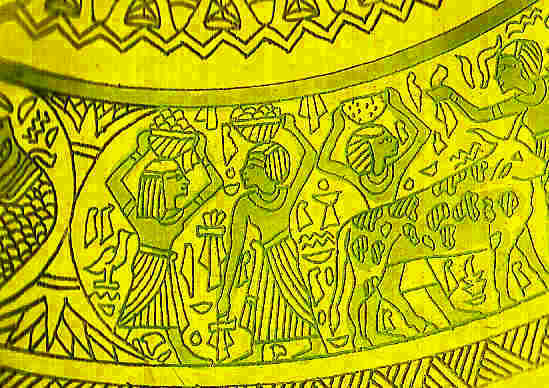 With all rivals eliminated, it would be an easy matter to place the entire burden of supplying the blood sacrifice, as well as the tributes of captives, gold, jewels, and fine linens the gods were demanding, on whomever he wished and not fear an insurrection that foreign kings might exploit. They might even find opportunity to profit even more on the transaction--since the ox that treads the grain is allowed to tread it unmuzzled, is it not? The per-aa smiled at the homely image the Cupbearer called forth at the end of his appraisal of the treaty’s conditions. Feeling that all would go well, he turned back to the divine gods seated on golden thrones like his own--for he too was a god, was he not? The visiting gods smiled, and the document was sealed by the per-aa. 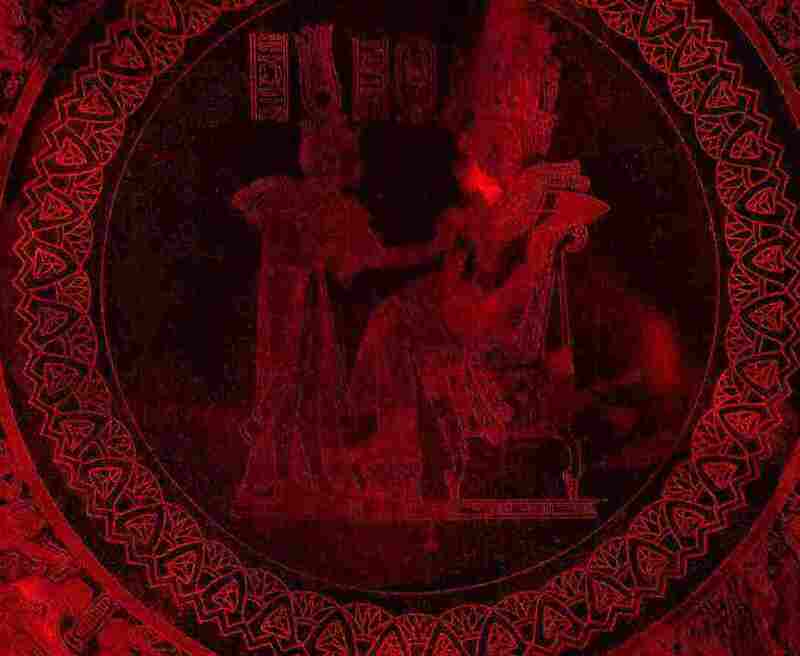 After the gods departed, the per-aa held another secret council with his Cupbearer. The Burning Eye was delivered, not intact, but in a set of instructions. But the per-aa, skilled in putting things off, delayed the project. Eventually the plans disappeared somewhere into the vast, convoluted archives of the temples. It was never found to be the per-aa’s fault, when the gods confronted Ptolemeos on the missing plans for the Burning Eye. Just as the per-aa hoped, the gods wearied of his promises to do something to get the project re-started once the plans were located, and they turned elsewhere.